Bix left the Wolverines by the end of 1924. One last attempt at college lasted all of one semester, and by the summer of 1925, he was playing in a summer resort band run by Jean Goldkette; it was here that he would first work with Frank Trumbauer, with whom he’d share a most productive musical relationship. By the spring of 1926 the two friends had moved up to Goldkette’s headlining orchestra in Detroit. Jaunty, “sweet” (as opposed to “hot”) numbers like “Sunny Disposish” followed. Bix plays wonderfully here, laying down a fluid melody that Don Murray’s clarinet dances with like an eager—albeit, extremely graceful—schoolboy. The B side, “The Jazz Me Blues,” also highlights that great cornet/clarinet interplay, as well as a few nice moments from Adrian Rollini on bass saxophone. That was actually a re-recording of a song Bix had originally down with the Wolverines; click here for their version. “Since My Best Girl Turned Me Down” is classic Bix—melodic, yet improvisationally daring, with fun shifts in tempo in places that aren’t expected but make perfect sense in the context of the song. A lot of jazz purists get heated over who was the better cornet player—Bix or Louis Armstrong. The savvy listener simply recognizes that both players came up around the same time and they both greatly admired each other’s work. That’s good enough for me. “Rhythm King” features sporadic bass drum hits that sound positively huge for a 1928 recording—remember, it was all done with the whole band gathered around one very carefully placed microphone. That could be Chauncey Morehouse, Harold MacDonald, or Harry Gale with the mighty right leg on this recording. Either way, enjoy the loving juxtaposition with Steamboat Willie before Disney’s lawyers send a drone after me and the poor sap who was kind enough to post the video. 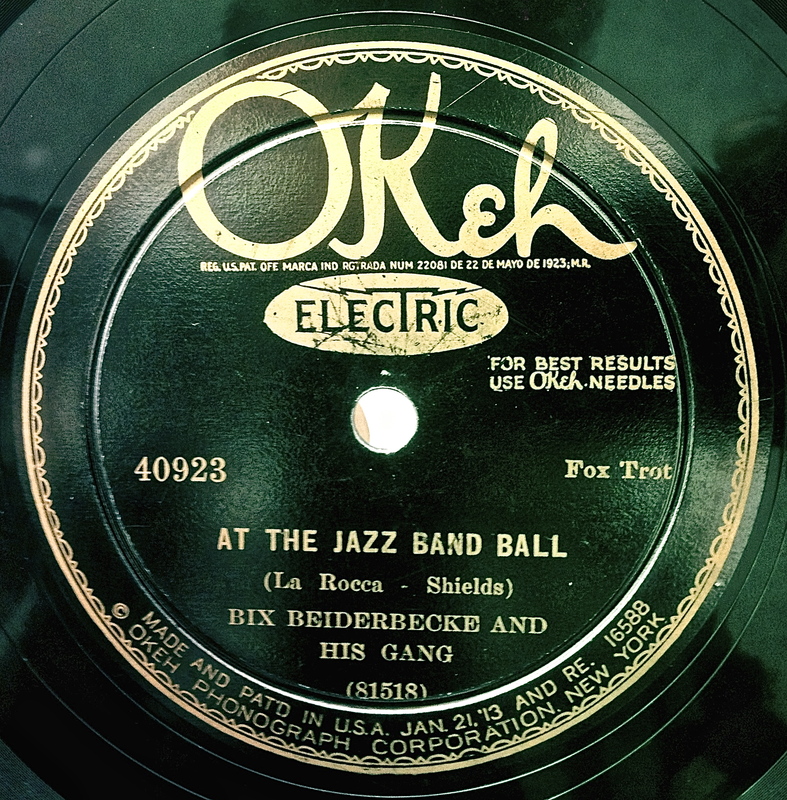 Bix’s troubles with alcohol interfered with his usually razor sharp musical ability, so he left Paul Whiteman’s Orchestra and returned to Iowa to dry out. Much to his credit, Whiteman not only kept Bix on the payroll, but made sure there was an empty chair on stage, showing the world that Beiderbecke always had a place there. Bix returned to New York in 1930. In may of that year, he played with Hoagy Carmichael and His Orchestra for the very first recording of “Georgia on My Mind.” That’s Bix at the 2:46 mark. 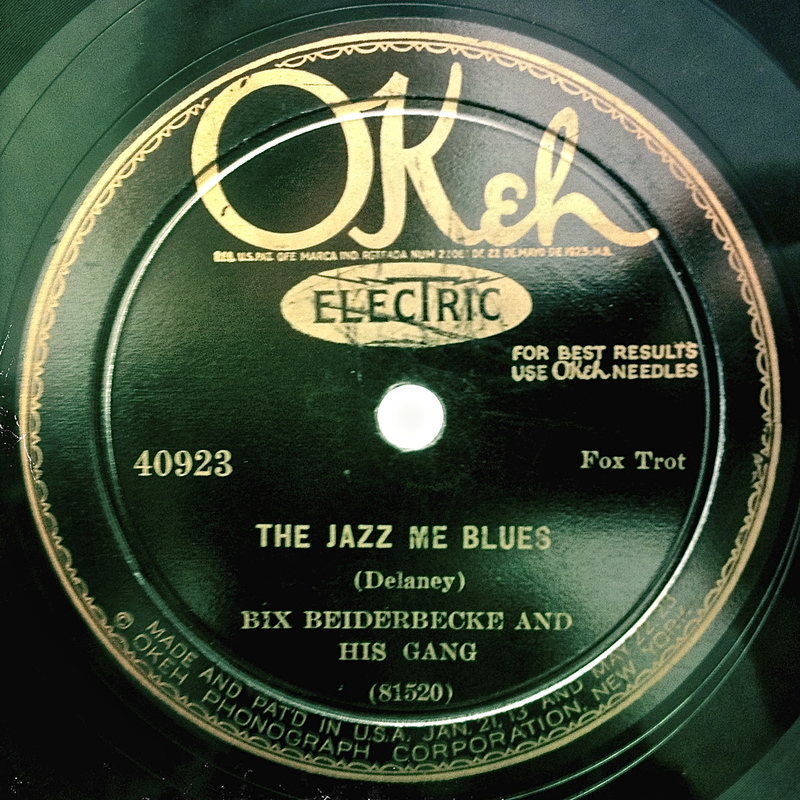 That would prove to be Bix Beiderbecke’s last recording session. His drinking got worse, and he died in Sunnyside, Queens on August 6, 1931, of lobar pneumonia that was likely exacerbated by his weakened immune system. He was relatively unknown when he died, but the respect that he had earned from fellow musicians inspired Otis Ferguson to sing his praises in a 1936 New Republic article entitled “Young Man With a Horn.” This served in renewing interest in Beiderbecke’s musical genius. It is also commonly regarded as the beginning of the romantic lionization of the tragically addicted jazz genius, a template that would be stamped on to the memories of Charlie Parker, Chet Baker, and eventually a huge number of Blues and Rock artists. One wonders what Bix himself would have thought of such a legacy.